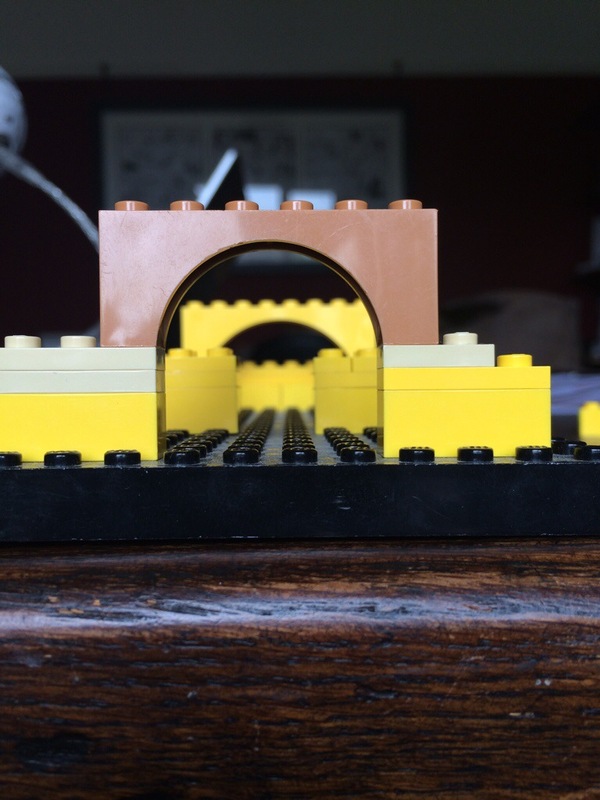 My post a couple of weeks back on the Portus MOOC, and trying to model Building Five in Lego aroused some visits from my fellow students, a few comments in the MOOC itself, and at least one other attempt to use Lego Digital Designer to as an archeological tool. It so encouraged Graeme Earl that he wrote about it on Southampton’s MOOCs blog He also provides a link there to some plans and drawings of the Grandi Magazzini Di Settimio Severo that he persuaded Grant Cox (he of the astounding computer models) and Christina Triantafillou to create. The challenge is evident. Can we, the MOOC’s students, rise to it and build our own models of this enormous building? One could of course, use the drawings themselves as building blocks, reproducing them to the correct scale, sticking multiple copies to card, and assembling them with glue. 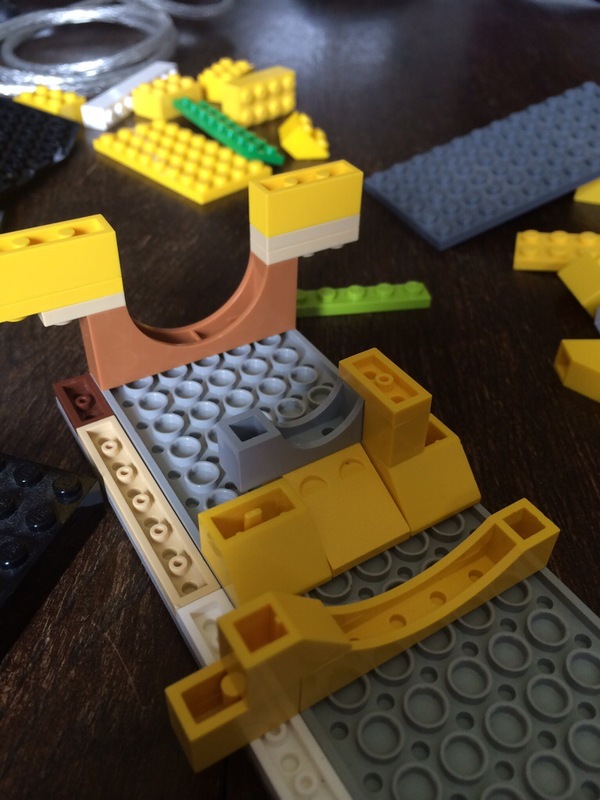 Or, of course, I could turn to Lego again. This is another huge building. Bigger even than building five. In videos from Week one and week three of the MOOC, Simon Keay strides down the remains of the corridor as though it’s a street. (EDIT: or am I confusing that with the Portico di Claudio?) So in the end I’ll resort to digital designer again. But first let me get a feel for the shape by getting my hands around some real bricks. Looking at the plans, it’s apparent that many of the storerooms are the same structure, repeated again and again across each wing and two floors. There are other spaces, stairwells etc that don’t conform to the pattern. But to begin with, I’m looking for a modular design for the storerooms. Here, I’ve made a very unscientific decision about scale. 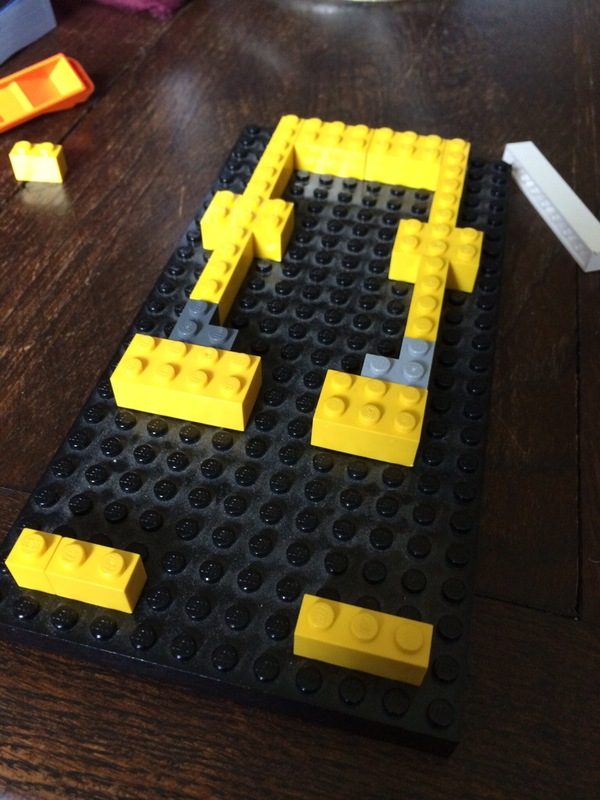 After my attempt at building five, I’m less interested in building it to minifigure scale. I’m not sure even LDD has enough virtual bricks (!) and anyway I don’t want to place them all. So instead I’m experimenting with the smallest scale possible, and here I’ve decided I can get away with one stud = one meter. Of course the plans show varied decimal fractions of a meter in the metrics, so I’m rounding up and down arbitrarily. 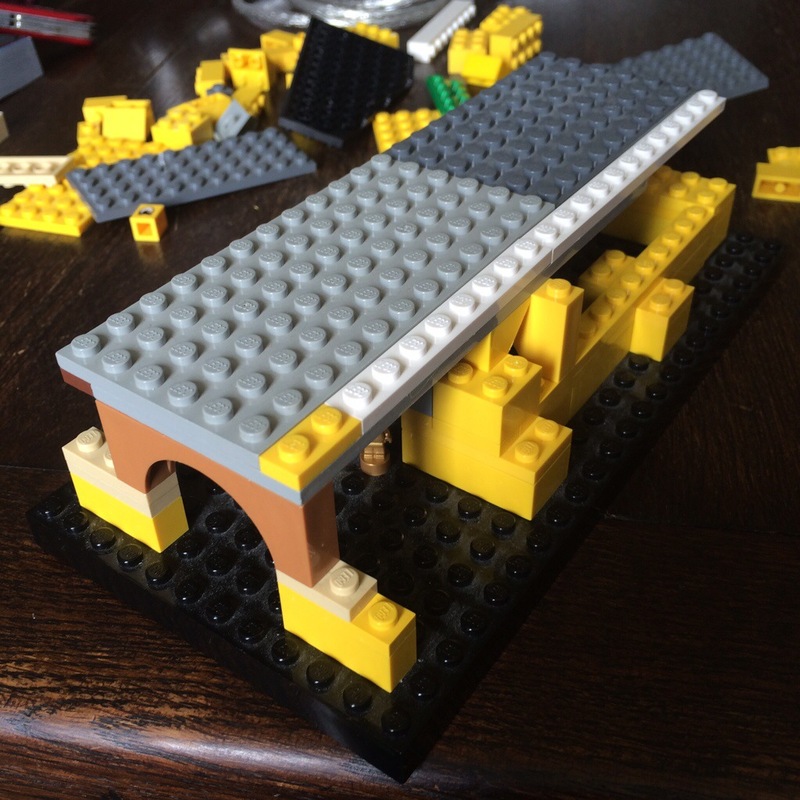 Romans – if you find this blog through some sort or temporal anomaly – do not scale up my Lego measurements. You’ll be very disappointed. Even without the correct scale, the act of modelling makes one think about how the spaces go together, and really interrogate the plans. The picture above shows one of the arches which looked out over the Claudian Basin and the sea beyond. Now though I’m wondering – is it open to the floor? Or does it have a sill? For the time being I’m leaving it open to the floor. Finally, I want to get rid of the baseboard. 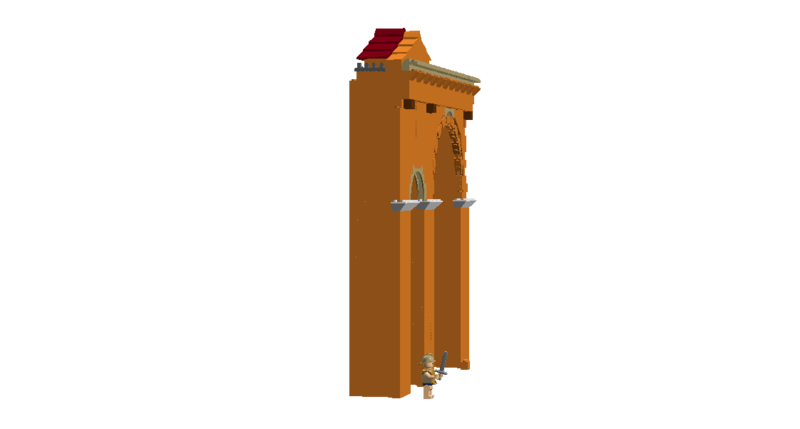 Having got this far in plastic, and got an idea of the size of pieces I need, I’ll be moving onto virtual bricks. Then I’ll need to create repeatable module that clicks together, so I’m better off creating a “baseboard” that goes on top of the structure. That’s enough for tonight. Next time, the virtual model. Having been focussing on my Symposium presentation, and then taking a week camping with the family in France, I’ve finally caught up with the other students on the Portus MOOC, which I’d had a sneak preview of some months back. We’re two thirds of the way through the course, which is a bit late for catching up, but never mind. The debate in the user forums below each activity has been better than I’ve seen in any other MOOC I’ve tried – rather than simple requests for help with an issue, the Portus learners have been contributing their own knowledge and experience and asking probing questions which have elicited very full and illuminating replies from the Project team. 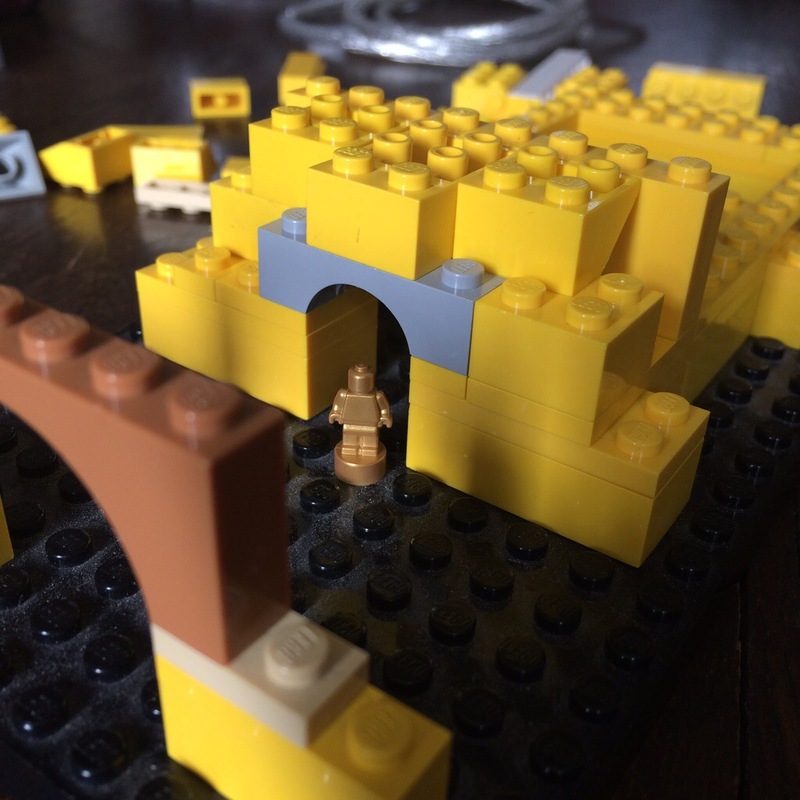 This week, the course has turned to two aspects of the Portus Project which are of particular interest: the mysteries of “building five” and computer modelling. Building five is a large building almost 250 metres long, and (according to evidence which I won’t repeat here – if you want to know, do the course) it may have been a boatbuilder’s shed, although no evidence has been found as to how exactly ships built in the shed might have been launched. The course also explored the activity of modelling the building, showing how computer models are used to hypothesize the shape of there is missing evidence for. 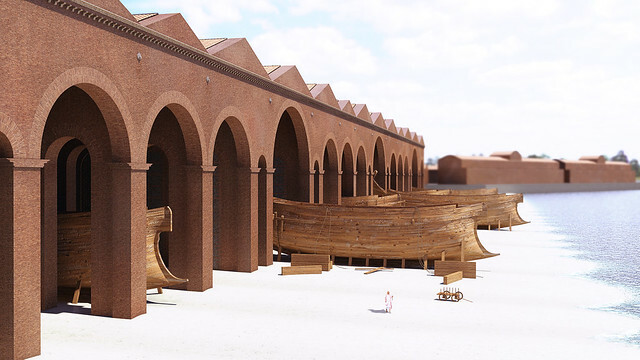 There was some debate in the forum comments about the power of CGI models of convince the viewer that this might be the ONLY truth, while the Portus team are using CGI to explore all the possibilities. There is an argument that the more sketchy archaeological drawing is inherently less “final” and more pregnant with possibilities, but I’m not sure I’m convinced by that argument. But I am convinced that the act of modelling is more informative than the finished model, whether its created by computer or pen and ink. 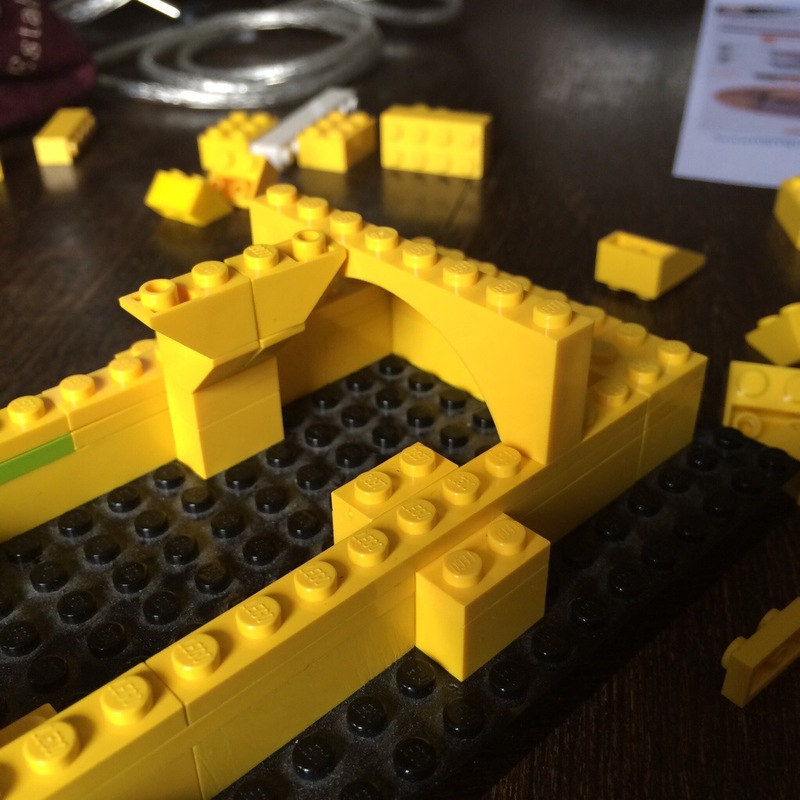 So how easy would it be to give all the MOOC learners an opportunity to get their hands dirty with modelling? The sort of software used by the Portus team comes with expensive licenses and a steep learning curve, which likely put it out of the reach of most home learners. But there alternative 3D modelling packages. My colleague, Javier Pereda suggests two on-line 3D modelling programs that come with their own tutorials: Tinkercad – a Web based 3D system which is a simplified version of 123D from Autodesk; or 3D Tin – also Web based, and a little bit more complex, but with the difference that this app can export the models to other sites like Thingverse, and from there, maybe 3D print their models. 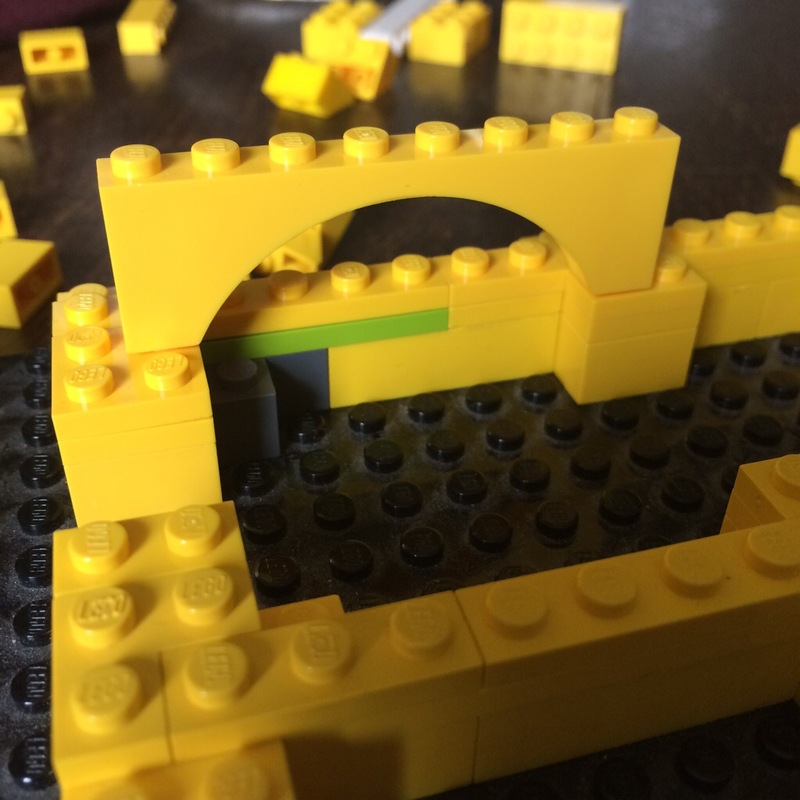 Could the Portus team create 3D models of some of the actual finds from Portus, standing remains, and the other evidence they’ve discovered about the shape of the buildings’ footprint, and enable their on-line students to start creating their own 3D models? I must admit I took a more playful route, which resonates with my recent reblog. Not as impressive as Grant Cox’s render at the top of the post. 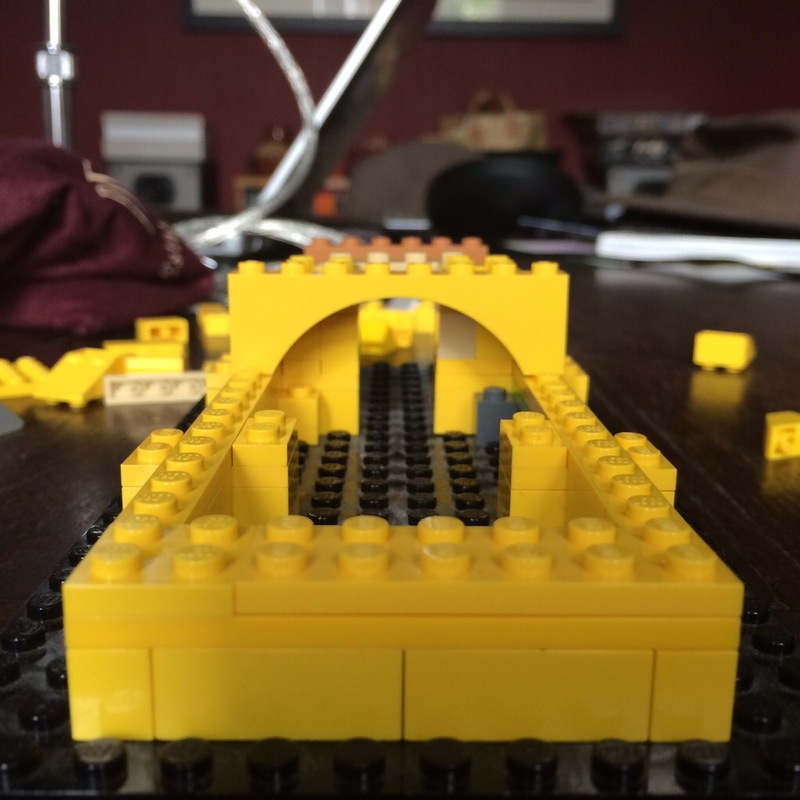 But I’ve also learned two things: that the engagement of playing with the evidence and the Lego System to try and model Portus is a valid educational activity; and, that minifigure scale definitely does use too many bricks.